These Sushi-grade, troll-caught King Salmon receive special treatment. 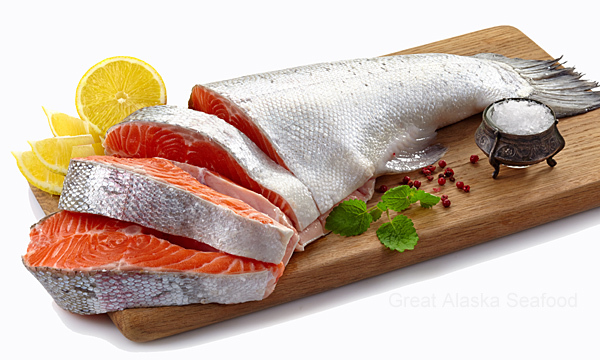 Trim this whole salmon yourself into any cuts you prefer or stuff it and roast the whole body. 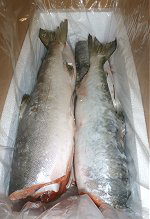 With nickel-bright skin and rich red meat, there is no better wild king salmon available unless you catch it yourself. High in heart-healthy Omega-3 Oils and huge in flavor. There is no substitute for quality.